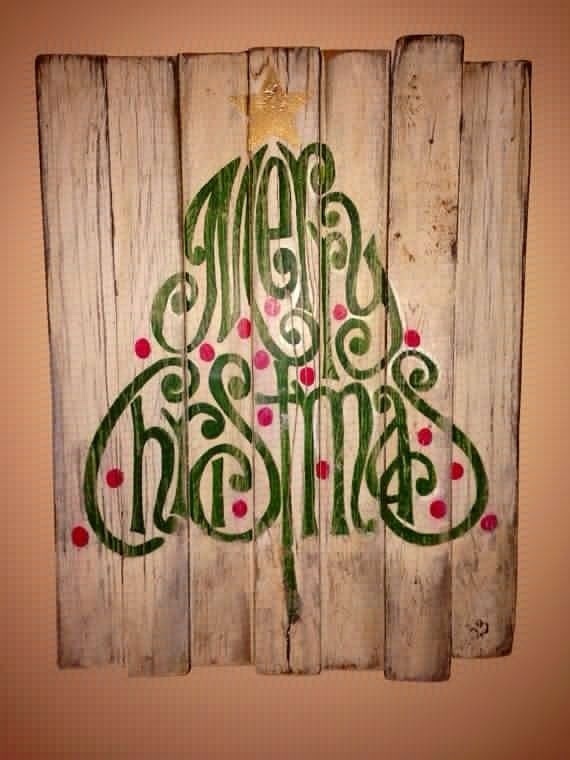 25 Posts of Christmas: MERRY CHRISTMAS! It’s here! Finally! MERRY CHRISTMAS! As you open your presents and enjoy the day, make sure you take time to enjoy your family too! And remember what today is all about! May God Bless you in this Holiday season. 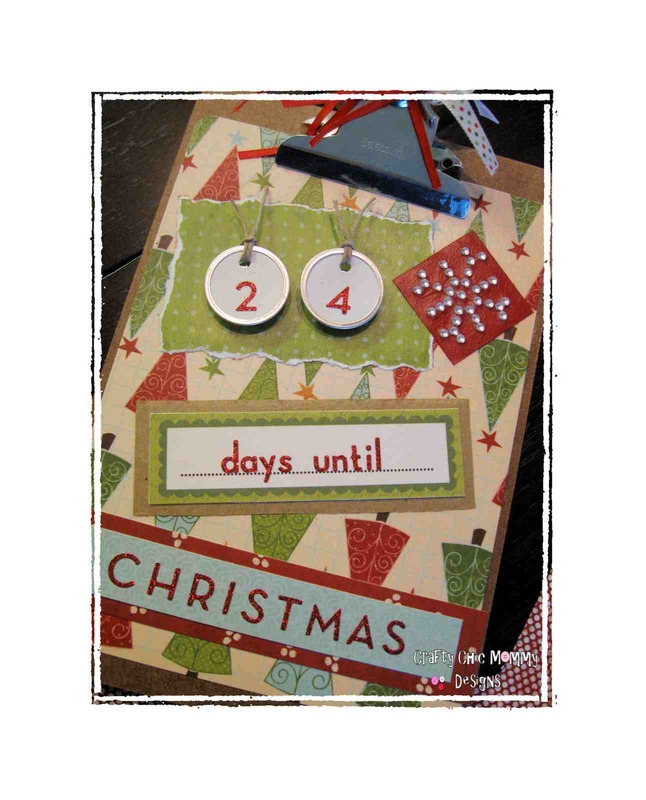 25 Posts of Christmas Day 24: Christmas Eve! There are hours left…only hours! Presents are wrapped and stockings are hung. The tree is decorated and the kids are tucked into their beds, dreaming of Christmas morning! And before you go to bed, take a minute to thank God for his wonderful gift and for his wonderful love! And kiss your sweet children. They’re the best gift most of us could hope for! What do you do for your fellow man at this time of year? 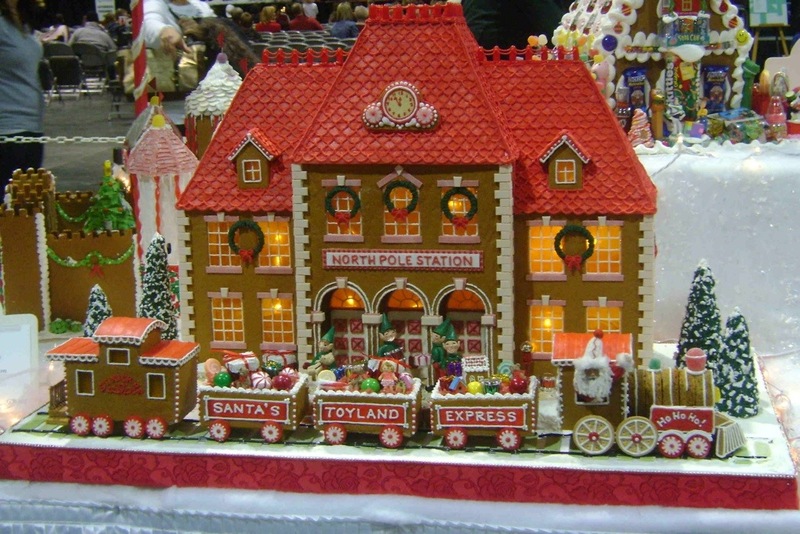 And each town had their own special charities and projects that are going strong this time of year. 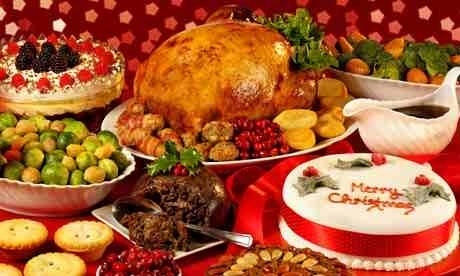 There are also a myriad of Shelters and community homes that feed thousands for Thanksgiving and Christmas! What’s your personal volunteering opportunity? And if you don’t volunteer, you should think and pray about it. When God commands us to give 10% of ourselves, he means more than our money! He means our time too! So go out into the world and see what you can do to help! 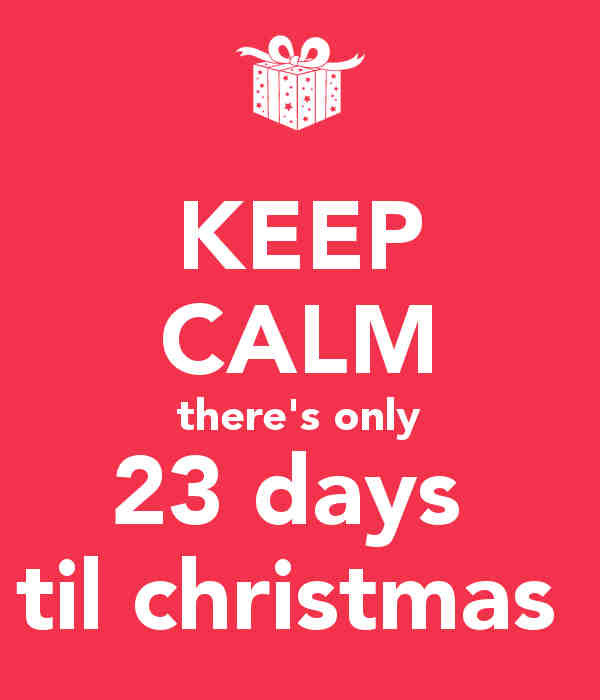 25 Posts of Christmas Day 22: Take a deep breath! 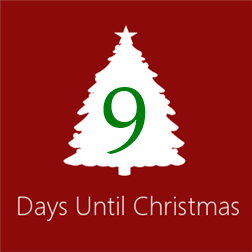 Only three days until Christmas now. 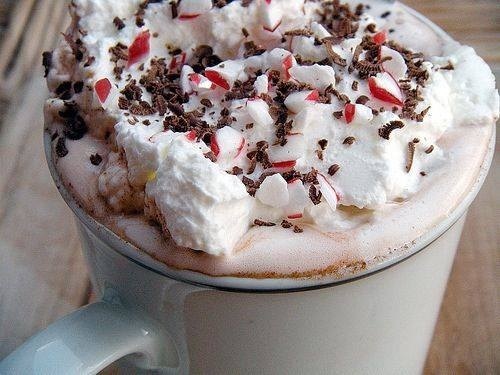 Kick back and fix yourself a nice cup of cocoa! Throughout this season, we’ve all dealt with crazy traffic, rude drivers, angry shoppers and crazy weather. Now the time is running out and we are all running around like crazy people. Who else is feeling the pressure? Who else feels a little crazy? This is why I say you should take a deep breath and fix yourself a nice cup of cocoa. Snuggle up with your kids and turn on a great Christmas movie and enjoy some time with your family. Read a Christmas story as you put the kids to bed and enjoy some time with a good book. Then you can get back to your Christmas shopping and wrapping. 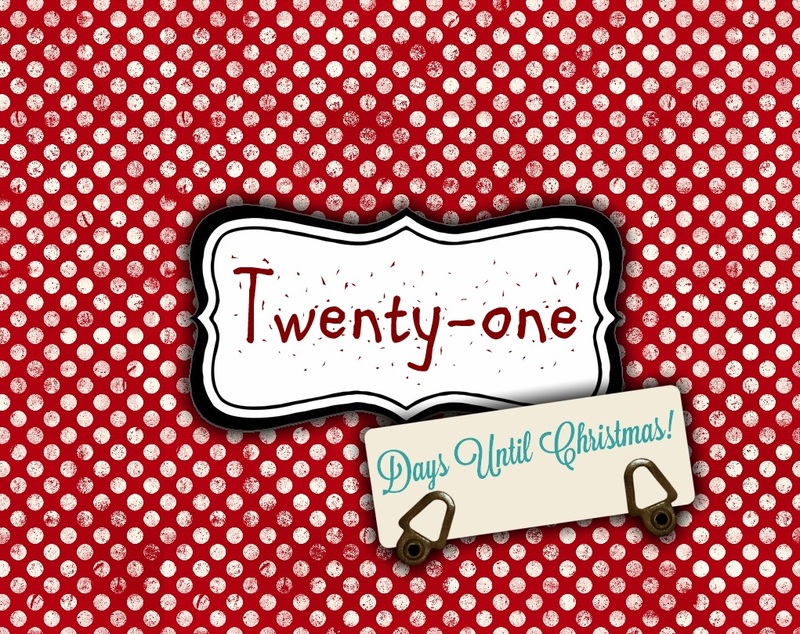 25 Posts of Christmas Day 20: Christmas Vacation! All over the country, schools are letting out today for Christmas vacation! Moms and Dads are starting their Christmas vacation and Holiday plans really kick into a new gear. It’s the real start to this Holiday season for most people and it’s a wonderful time for families! What are your plans, Traditions? 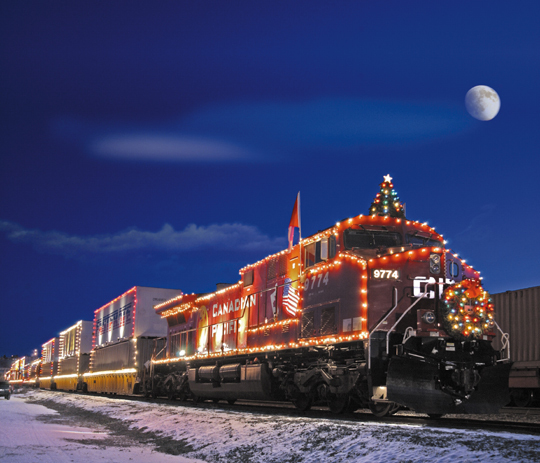 What does your family do this time of year? Driving around and looking at all the beautiful Christmas lights and decorations! So many fun things to do! 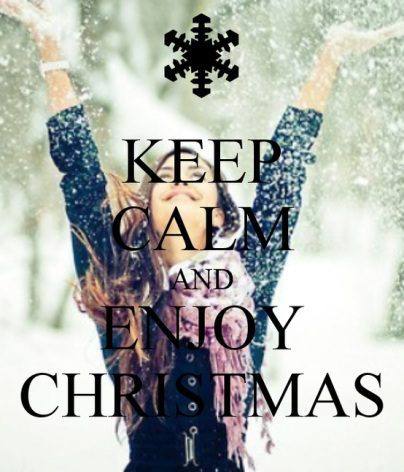 But whatever you do, ENJOY this time with your family! That’s what this season is all about! 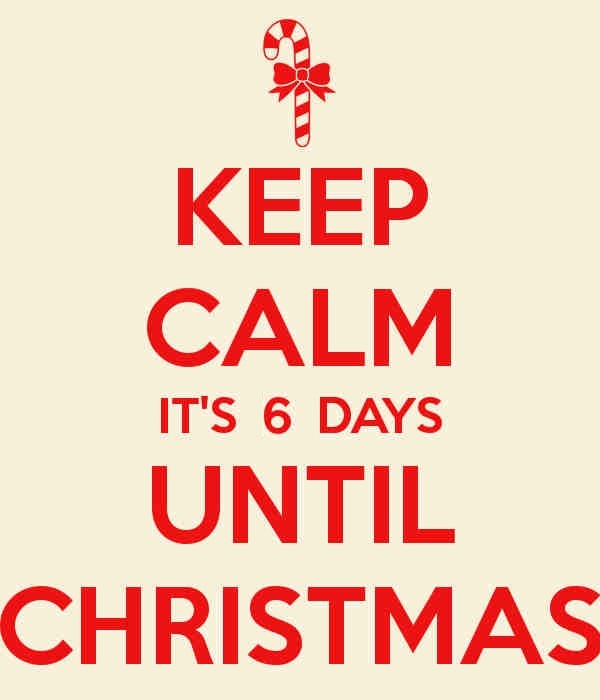 Who can believe it’s less than a week until Christmas? One reason I enjoy this time of year is the opportunity to snuggle up under a warm blanket by a fireplace with some hot chocolate. YUM! So go fix you some hot cocoa and snuggle up with a great book! And have a great night! GOD Bless you and your Family this season! Once again I have received a book to review and it was the third book in a series. And it too began a crazy search for the first two books. I really like to read books in order. I can’t help it. I’m weird that way. The first book was not difficult at all to find. It was the second book (again… it must just be me) that made itself hard to track down. But I finally found it! And ironically, I read the eBook “Home to Pebble Creek” before I read any of the others in the series (It was FREE on Amazon. I couldn’t help myself!) but I’m going to have to go back and re-read it after having read these three books that started the series. 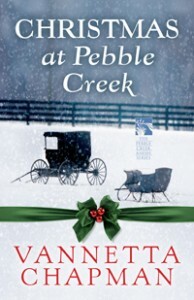 In a few days you’ll see my review of “Christmas in Pebble Creek” which is the second eBook Vannetta Chapman has released (Another FREEBIE) to go along with the series. I’m sure it will be just as wonderful a story as the rest of them! And I really hope we see more stories from Pebble Creek too! Here are a few words from Harvest House Publishers about “A Wedding for Julia” before I share my thoughts. A Wedding for Julia, the third book in a romantic series from popular author Vannetta Chapman, takes a last look at the Amish community of Pebble Creek and the kind, caring people there. As they face challenges from the English world, they come together to reach out to their non-Amish neighbors while still preserving their cherished Plain ways. Julia Beechy is so stunned, she can hardly breathe. Her mother’s announcement that she must either marry or move from the family home upon her mother’s imminent death catches Julia by surprise. How can she leave the only home she has ever known? What about her dream of opening her own Plain café? When Caleb Zook offers support, comfort, and a solution, Julia is afraid to accept it. Can she marry someone she barely knows? Is it the right thing to do? Is this God’s plan for her future? Caleb thought his time for marrying was long past, but he feels a stirring in his heart he cannot shake for this beautiful, forlorn woman. Amid the circumstances of this life-altering decision, the people of Pebble Creek weather the worst storm to hit Wisconsin in the last hundred years. 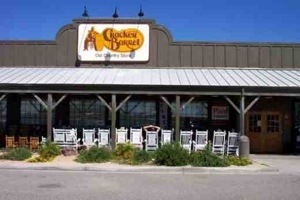 Where will Julia and Caleb be on the other side of it? Another heartwarming story from Vannetta Chapman. She’s too good a writer to do anything but great! Once again we see the wonderful weaving in of characters from books 1 & 2 in the series – one more reason I just love series. One thing I enjoy deeply about Vannetta’s books is how real everything and everyone is to the reader. You expect to look up and see them all around you, women knitting and children playing. You expect to hear the door open and men stomping the mud off their boots. She describes every little thing so easily and so well. She also crafts a full-bodied story line. It really brings home that these people are just like us in so many ways. They may live under much stricter standards but their children run and shout. The ladies get together and chat while wrangling the kids. The men still gather and talk about the weather or the crops or changes in the area around them. She makes them real for us. How many times have we read stories about people in the English world dealing with the very same things? …A parent pushing their child to get out into the world and get married. …A person afraid to commit to a marriage with someone they don’t “feel that way” about. …And I can’t even count the number of romances I’ve read where difficult situations – storms, robbery, cold of winter, the list goes on and on – have forced two people to examine their true feelings for each other. These books are an excellent link to the Amish world, a peek into their lives and a window into their world. I find myself very glad there are two eBooks after this one. And I hope she doesn’t stop there. I hope to have more stories from Pebble Creek to read! Most people would probably miss this but I’m just weird this way. On the cover of this book we see a young woman with jet black hair while the cover for the first book: “A Promise for Miriam” shows a young woman with brown hair. And yet it is Miriam who is described as having black hair. It’s mentioned several times in the first and second books. Not that it really means much – it’s just one of my little idiosyncrasies. It has no bearing whatsoever on the stories – they’re all just FANTASTIC! And I highly recommend the entire series to EVERYONE! If you would like to read more about this book click HERE to go to the page at Harvest House Publishers. You can also read a sample chapter on this page! 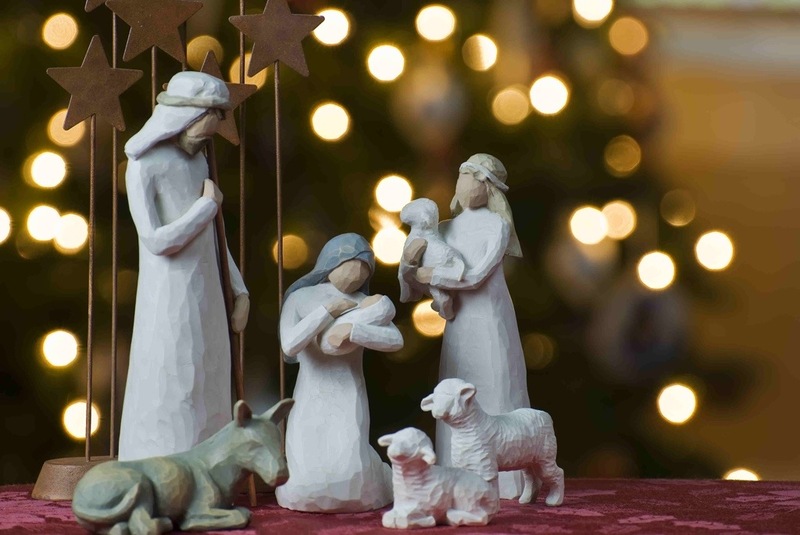 Wishing you and your family a Merry and Blessed Christmas this year! Disclosure of Material Connection: I received this book free from the Harvest House Publishers book review program in exchange for an honest review. The opinions I have expressed are my own. 25 Posts of Christmas Day 17: Lights, Camera, Apple iPhone? I would have warned you to grab a box of tissues but it would have ruined it. We “old-fogey” parents complain about technology ruining family time and we are bitter about our kids spending so much time playing video games or texting but this video shows an entirely different perspective, something a lot of people never think of when they see a teen on their iPhone® or Gameboy DS®. I hope this commercial will give teens the idea that their family is more important than they sometimes realize. And I hope it will show parents that they don’t always know exactly what is going on with their kids. Don’t jump to conclusions parents. Just LOVE your kids. OK… I have to go find another box of tissues now so I’m just going to keep this one short and sweet. I think the video says it all anyway. I mean… How can I top that? Way to go Apple! One other comment come to mind as I watch this. Too often, we participate in things but we miss the “little moments”. The argument goes on and on that it’s better to “BE THERE” than to be video-taping but something like this can help us all hold onto those precious memories forever! What do your Christmas cards look like? 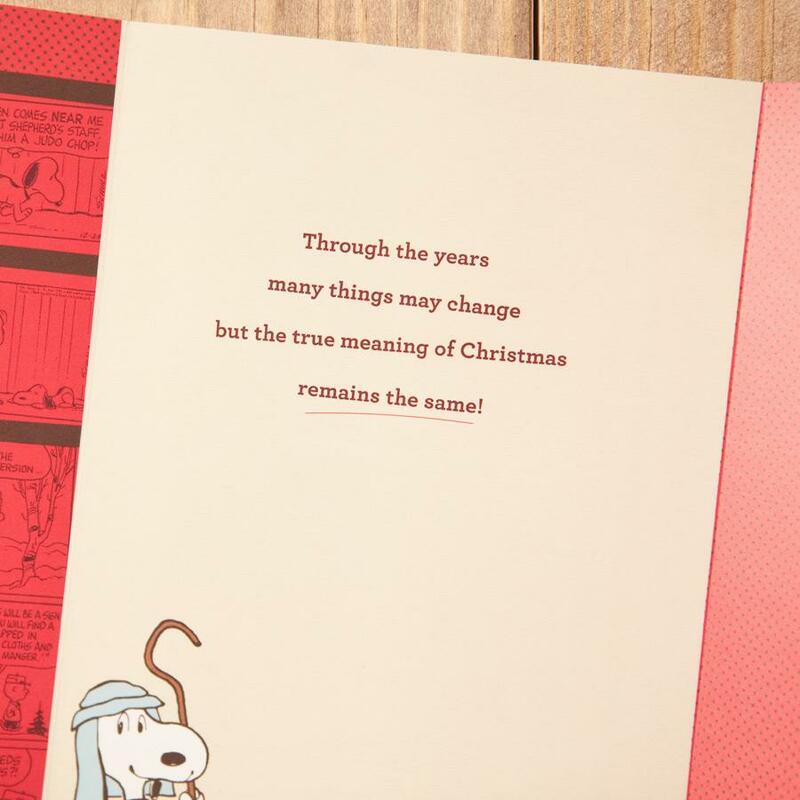 You are sending out Christmas cards… right? CLICK THE IMAGE to go to Dayspring. 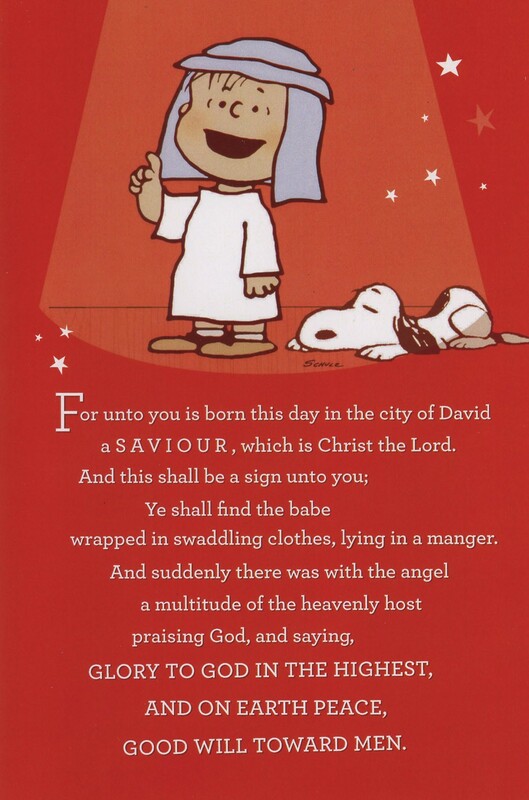 A friend of mine found this GREAT Christmas card and I wanted to share a little bit about them! HERE is a closer look at the words. Just gives you chills doesn’t it? And the rest of the card is JUST as GREAT! 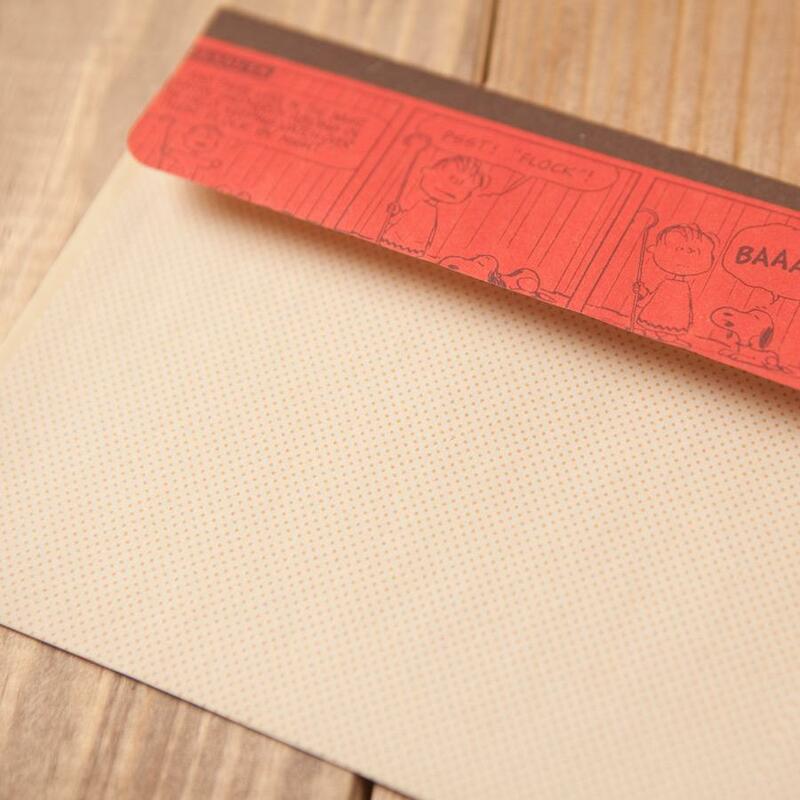 Even the envelope is CUTE! Who hasn’t seen that movie at some point or another? It’s a classic and one that every child should see! No I don’t like them picking endlessly on Charlie Brown but the lesson learned is so wonderful that it all balances out in the end. And the card is such a cute one. It’s hard to find really GREAT Christmas cards anymore. SO many of them are JUST fancy or JUST flashy or only about Santa. It can be so difficult, when I find I you like, it makes me want to buy a hundred boxes so I’ll have them for years to come. But that’s not really practical. 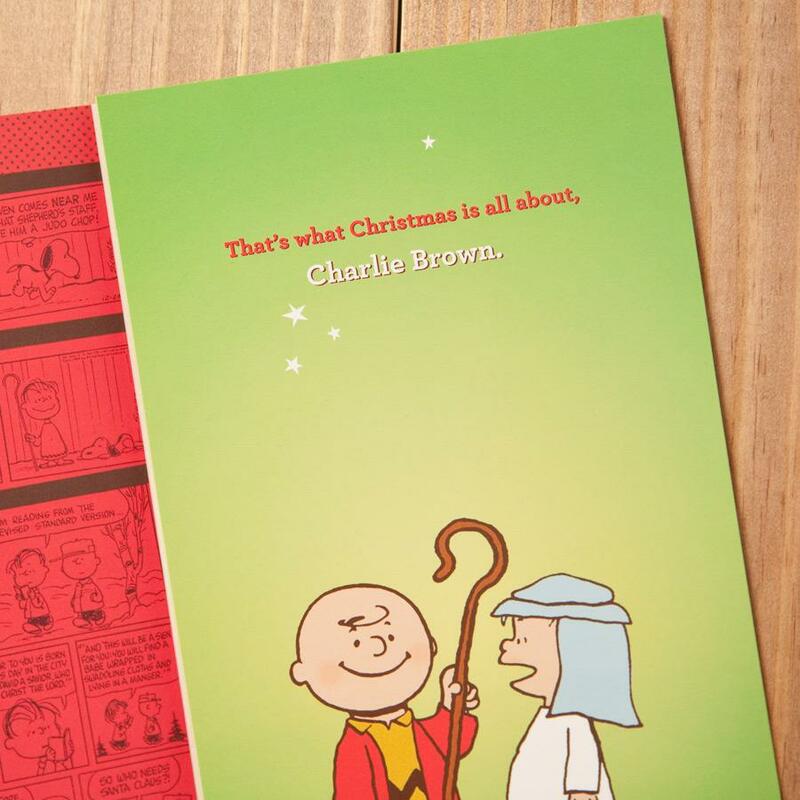 What great Christmas cards did you find this year? 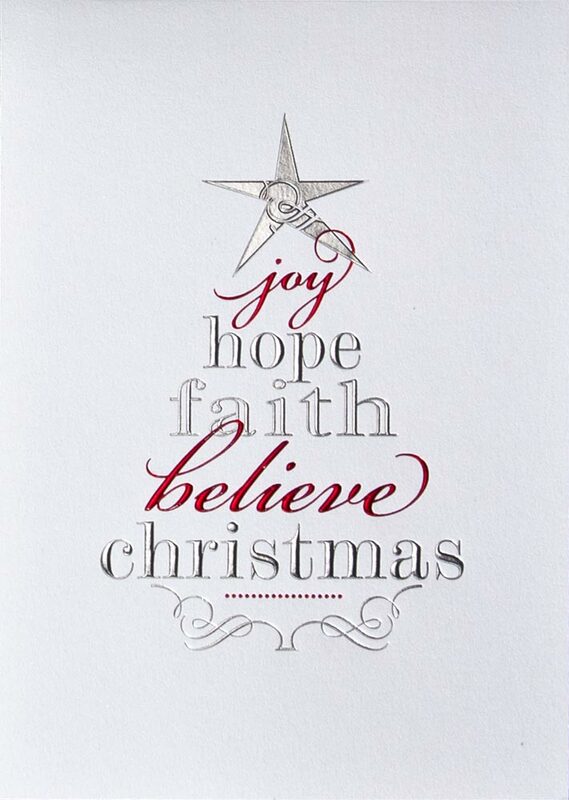 Are you sending out cards with a Biblical theme or just a Holiday theme? Whether you send our Biblical cards or not, remember what the Christmas season is really about this year as you send out your cards and as you celebrate with your friends and family! 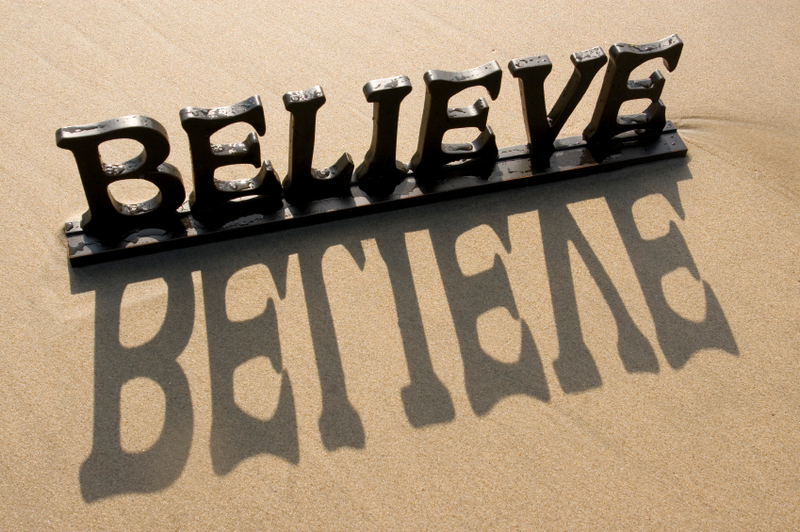 25 Posts of Christmas Day 15: BELIEVE! Can you believe we only have 10 more days? 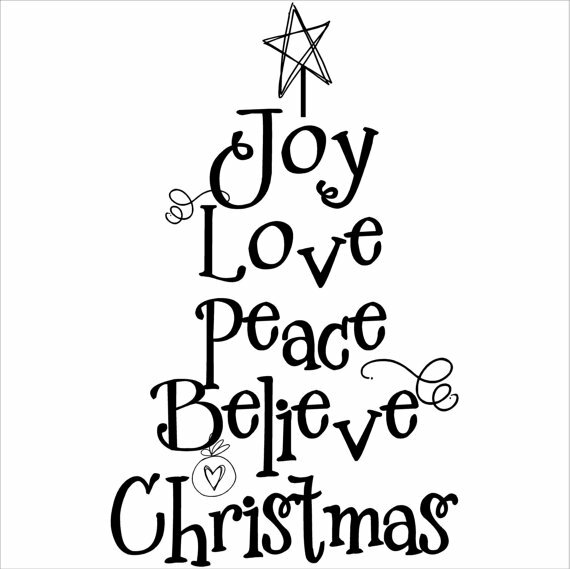 I believe the ONLY magic of Christmas is in the wondrous way God sent us his son those many years ago! 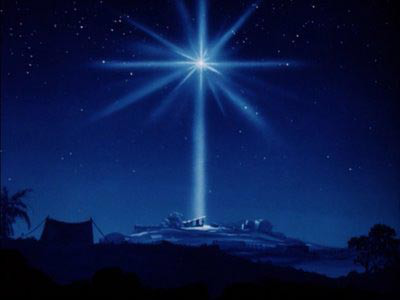 We were reading about the Star atop the Christmas tree last night (Yes, we’re a little behind on our daily ADVENT reading) and it talked about the way the star shined down on the little home where Jesus was when the Magi came looking for him. If you have to think of that as magic to understand it, that’s fine as long as you acknowledge that it was “magic” only because of how we see “magic”. It was God’s power – pure and simple! And that power still shows today! All you have to do is look for it! 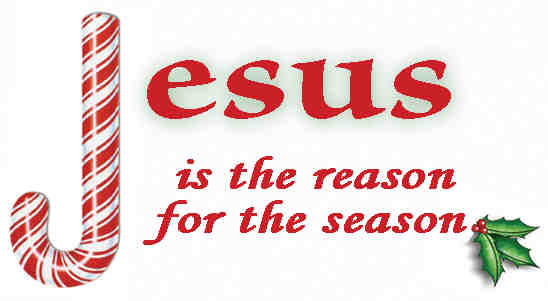 I BELIEVE that too many people have forgotten the true meaning of CHRISTmas! 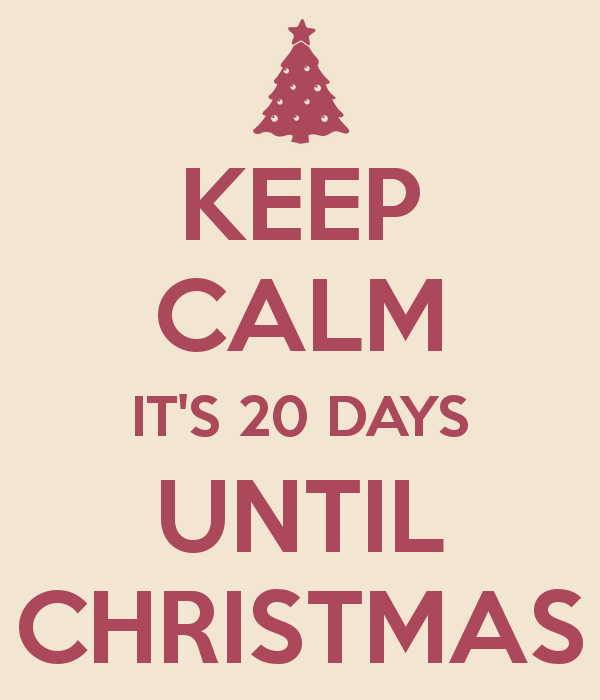 It’s gotten lost in the craziness of shopping and rudeness and commercialism. I BELIEVE that we need to come back to the simple things! We need to remember what Christmas is all about. It’s about God and His love and the incredible gift He gave to us: Jesus, His son! 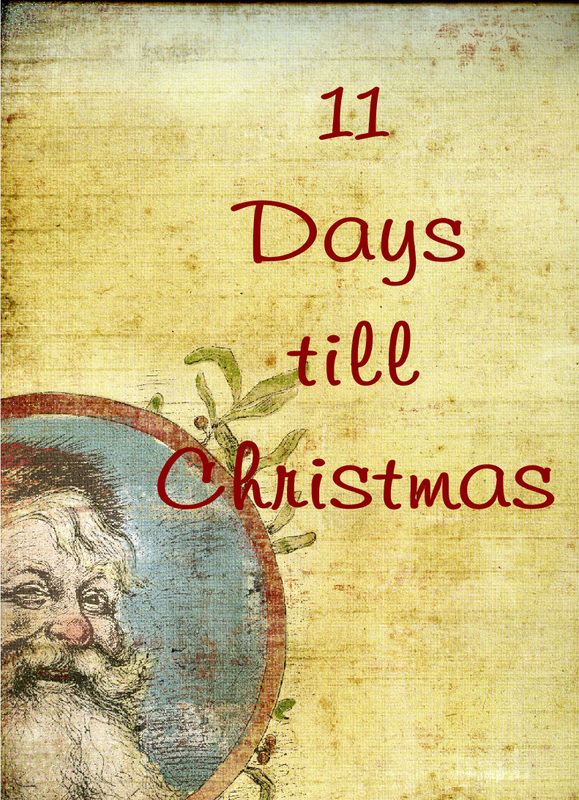 Do you only believe in Christmas because it’s what you’ve always done or because it’s fun to get presents? You would get so much more out of the season if you put your faith in God and discovered what this Holiday is REALLY about! 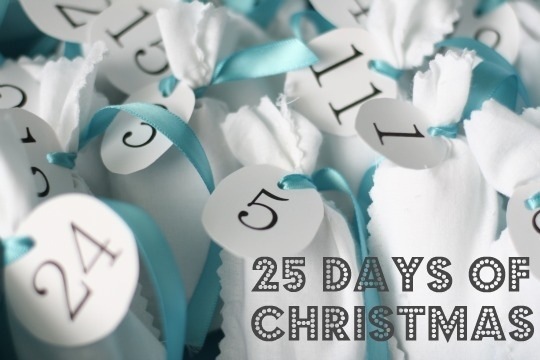 25 Posts of Christmas Day 14: Take a deep breath. 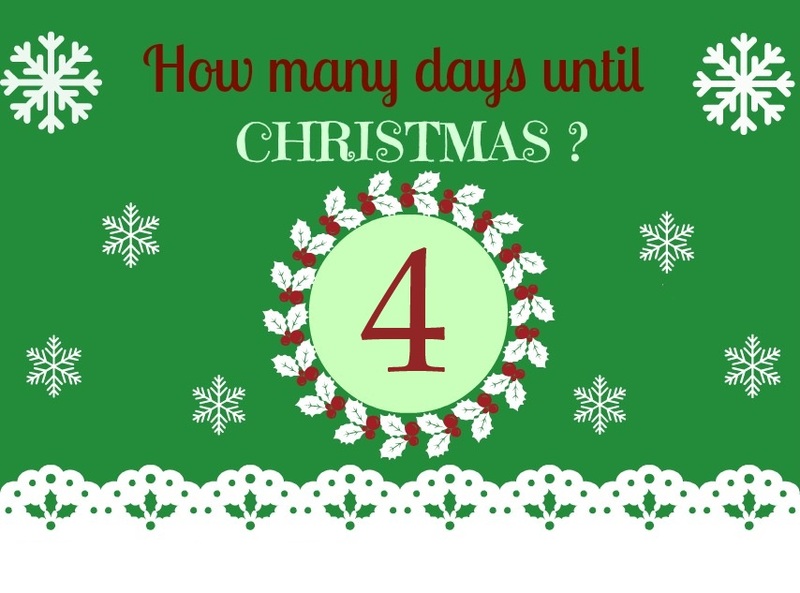 By now you’re hip-deep in shopping, wrapping, baking and juggling lists a mile long – of things you still have to do before the big day! So I have one piece of advice for you. Seriously, stop whatever you’re doing and take a deep breath. Look around you and inventory the wonderful bits. 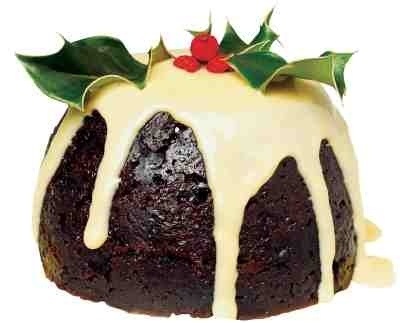 Watch your children as they enjoy your wonderful baking or as they add one last toy to their Christmas list. Take in the beauty of the decorations that adorn your home. Have a seat on the couch for even five minutes and look at your tree, the stockings, the lights. Remember what is important this time of year – family, love. Christmas is about love. 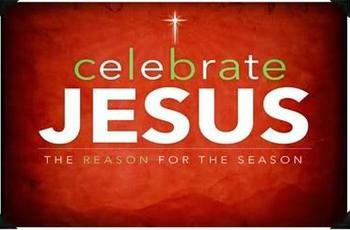 Christmas is a celebration of God’s love. He sent us the ultimate gift and he did it ONLY out of love. So take a minute to hug your children, your husband and tell them how much you love them. And remember that they are the ones that this holiday season is for! 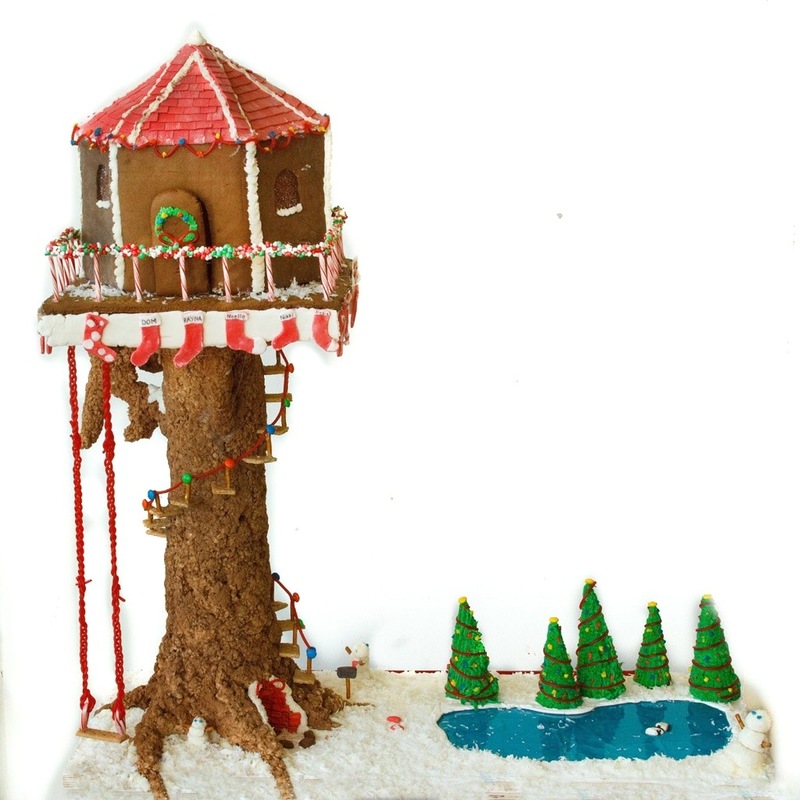 Today’s post is a sugar-filled free-for-all of Cookie Goodness! Hope you enjoy the yummy pictures and the delicious recipes! And I hope you grab your kids and go get baking! EVERY PICTURE is linked to the recipe! To be 100% honest, I’m not certain the picture above is for the recipe on the page – I think it’s just a pretty picture they found. But don’t miss the page, there are a bunch of GREAT recipes shared! BE CAREFUL – the site for the recipe below is not entirely family-friendly. And of course, we can’t have a Cookie-overload post without a recipe for Peppermint Bark! And while you’re baking and sampling, consider your neighbors, your postman(woman), your landlord, your teachers (if your kids are in public school). Send cookies to your loved ones! It’s great for two things! – Your time and your care and your love goes into them as you bake. The people you share them with will appreciate that. – You won’t gain an extra 20 pounds because you’re eating tons of cookies! LOL! Adults read this WITHOUT your young children reading over your shoulder. We are down to two weeks. 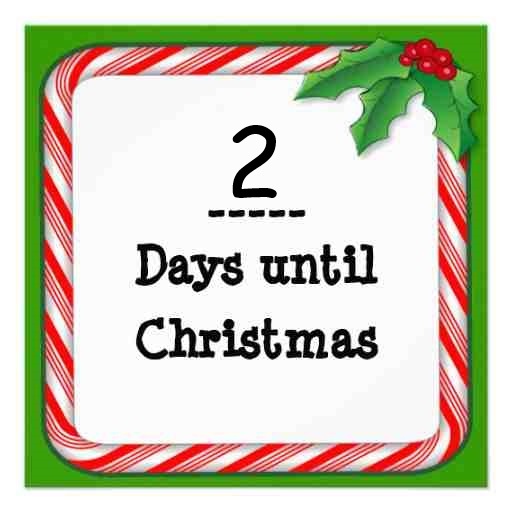 Only two more weeks until Christmas morning. My absolute favorite Christmas movie is Miracle on 34th Street. I watch it every year. It just doesn’t feel like Christmas until I’ve watched that movie. Miracle on 34th street deals with a lot of touchy subjects and I’d like to talk a little bit about one of them today: Faith. The idea of Faith is a tricky one. Belief in Santa Claus or The Easter Bunny or so many others, are often lumped in with belief in God and there is a line in the movie that caught my attention last night and I think that line is the real heart of the issue. There is a scene in the movie where “Santa” talks with Mrs. Walker – one of the main characters – the mom who “doesn’t believe”. I’m not just a whimsical figure who wears a charming suit and affects a jolly demeanor. You know, I… I… I’m a symbol. I’m a symbol of the human ability to be able to suppress the selfish and hateful tendencies that rule the major part of our lives. 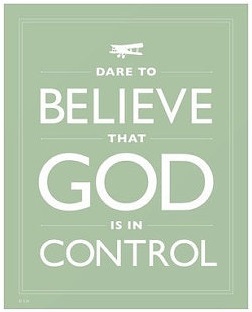 If you can’t believe, if you can’t accept anything on faith, then you’re doomed for a life dominated by doubt. My only real problem with the statement above is that a lot of people attribute this type of “faith” with faith in God and that sends a very wrong message. Or they encourage them to believe and make a big production of the whole thing and carry it all too far. And then they try to drag it out much longer than necessary to allow the children to keep that “faith” even after they’re ready to let it go. I feel it’s only fair at this point to let you know that my children figured out all by themselves just who “Santa Claus” is in our family. (THIS IS NOT POINTED AT ANYONE IN PARTICULAR – YOU KNOW WHO YOU ARE). Santa Claus is worse than a myth. Santa Claus is an excuse! An excuse to do something for your kids that they really don’t deserve at a time of the year where everyone has gone a little gift-crazy. It’s a way to ease your conscience… even though it’s not really about your conscience – it’s really about easing your guilt because you haven’t been as good a parent as you should have been and you know it. We see it all the time in movies or in TV Shows, even books. Some dad(mom) works too much, he(she)’s never home, the kids are spoiled rotten and they misbehave. They torment the housekeeper or the nanny or the au pair until they quit. This usually goes on for a while. The story always shows this in a light that makes the kids look like the victims. They can’t help being so spoiled and bratty. They just want their mom or dad to be home more often. I’m not going to get the popular vote for what I’m about to say next but it has to be said. NO one in this situation is the victim! Except maybe the housekeepers and nannies and au pairs who are tormented by the spoiled children. Parents are the ones responsible for their children. If they have to hire a nanny, they still need to be enough of a parent to teach their children how to behave properly. It’s the nanny’s job to watch the children, not be their parent. And the children are equally at fault. No amount of bad behavior is acceptable, no matter what sort of attention it gets from a parent. And maybe it can be overlooked when the children are under the age of 6 but once they’re old enough to know how to dress themselves, they need to start growing up and start figuring out how human beings behave. Of course this goes to a much larger issue and it’s a major problem with our society but I’ve ranted enough for today so I’ll stop there. What’s the bottom line you say? Parents, be parents! If you don’t want to be a parent, don’t have children. It’s as simple as that. And on that note, I will say adieu. This will be my first negative Christmas post this year and hopefully my last. I spent hours, literally hours… yesterday fixing a post that took me hours to write/edit/organize to begin with… over a month ago. Well, if you go read that post, it will tell you about why but if you want to know without having to go somewhere else, just keep reading. I posted about Christmas books – 25 of them. And let me tell you, you never realize until you go look, that it’s difficult to actually find 25 Christmas books that you like. So I put in quite a few that I haven’t actually read. Most of them are on my to-read list but a few of them, I put in because I’d heard good things or (in the case of the ones that got the whole thing going) I loved the movie. If you enjoy Christmas movies, you’ve probably seen “Mrs. Miracle” or “Call me Mrs. Miracle” at some point or other. There is bad language in the first paragraph on the first page. It’s bad enough the man calls his son such a thing but to actually spell out the word repeatedly is unnecessary and in very poor taste in my opinion. First if all, it’s not really required to spell out the actual word. There are plenty of writers who allude to the word without actually putting it right there in black and white for all to see. Second, to keep repeating it (it’s right there in the first chapter at least twice more) is just reprehensible. Third – and this is the big one – It’s a story about an Angel! Am I the only one who thinks this is completely ridiculous? Really! In a story about an angel, we’re really going to put bad language… and spoken to a child in a completely inappropriate manner. Needless to say, I felt a great desire to edit my post, removing the books by this author and adding in some others by trusted Christian Authors. And that is what has truly annoyed me. Everything, and I mean everything I did to edit this post met with disastrous results. Every picture I tried to insert, every excerpt I tried to paste and every synopsis I tried to move caused mass havoc. Suffice to say I had a rough day and it took copious amounts of Hot Cocoa and a favorite movie to soothe my ragged nerves. On the bright side, I feel better having stood up for my principles. And I am reminded again of what Jesus did for us so long ago. His ideas were not popular with everyone. His teachings made a lot of people angry and he ultimately died for his principles. So with that in mind, I feel even better about it all. Rant over. Go about your business. 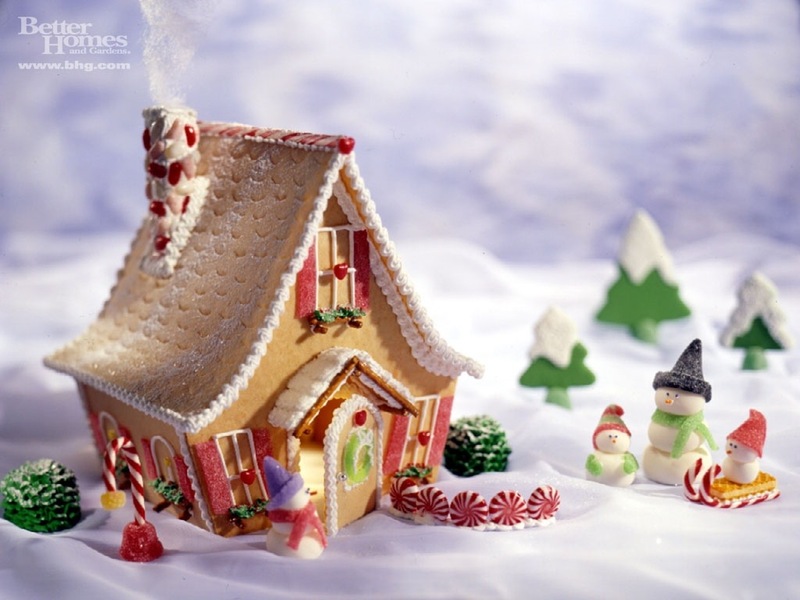 Who can remember making Gingerbread houses as a child? 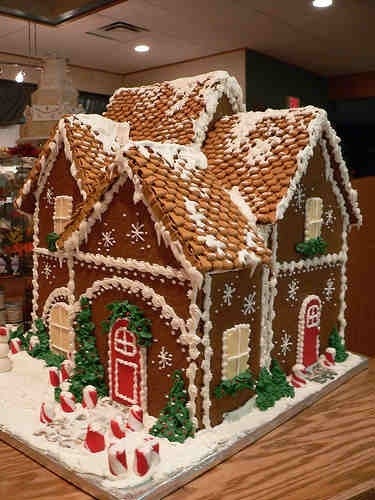 I never personally made a gingerbread house as a child but I’ve made them with my children. The sugar that shakes off every piece of candy and makes a little trail everywhere the children walk as they sneak pieces. I can tell you I missed out on some serious fun as a child and I didn’t even know it. But I am doubly glad I made time to have the experience with my children. 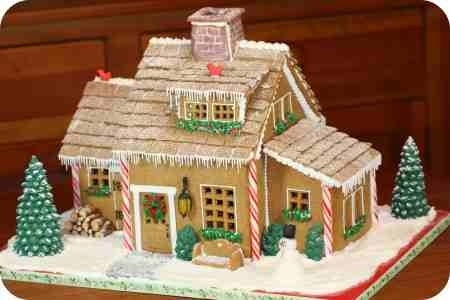 And I will always remember watching Home Improvement and seeing the crazy gingerbread service station that Tim made. He used real glue (actually it was caulk) and it was one of the few things he did that was not a complete disaster. But it was a GREAT memory of something fun he did with the boys. 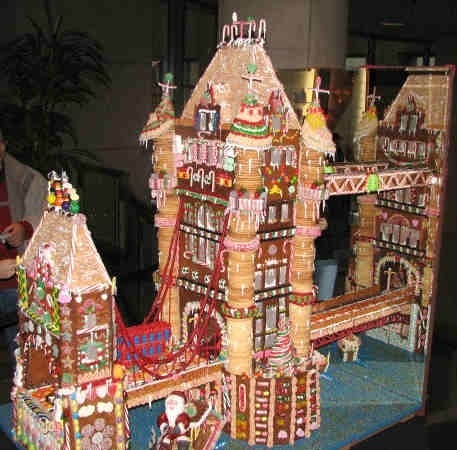 That gingerbread house is actually on par with some of the pictures you see here. 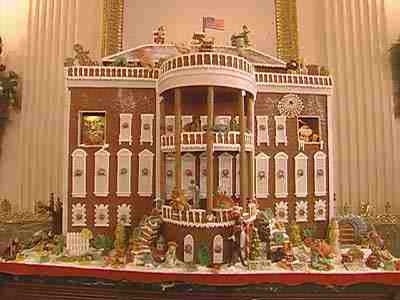 I have never even contemplated making a gingerbread house as grand as any of these. I wouldn’t know where to begin and I’m certain it would be a disaster if I tried. 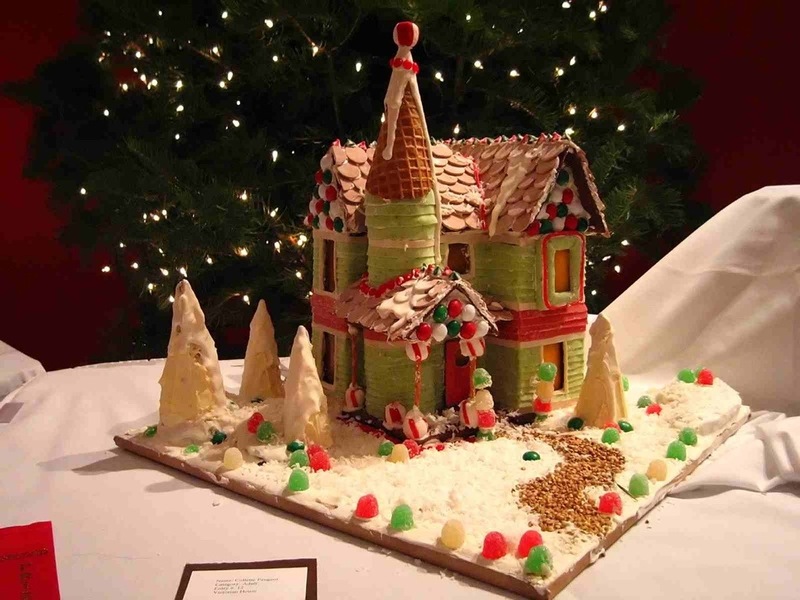 I’m sure all of these (including the Better Homes and Gardens example at the top of the post) were made by professional chefs and I applaud their skill and the many hours of labor that went in to these magnificent creations! 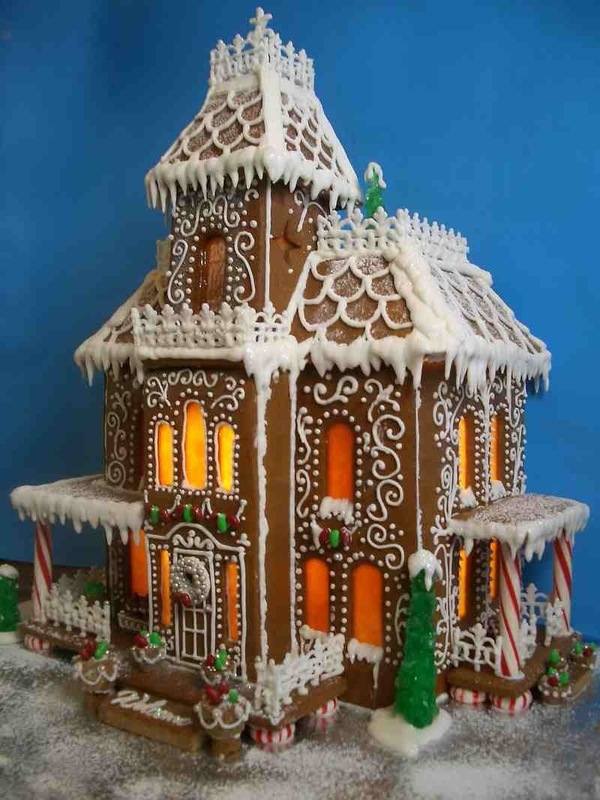 Have you made a gingerbread house with your children this year? You should make the time! It could quickly become a much beloved Christmas tradition they will pass on to their own children! This whole picture intimidates me. See the ones in the back…equally as cool as this one. WOW! I know my children would love the one above! The imagination! The creativity! 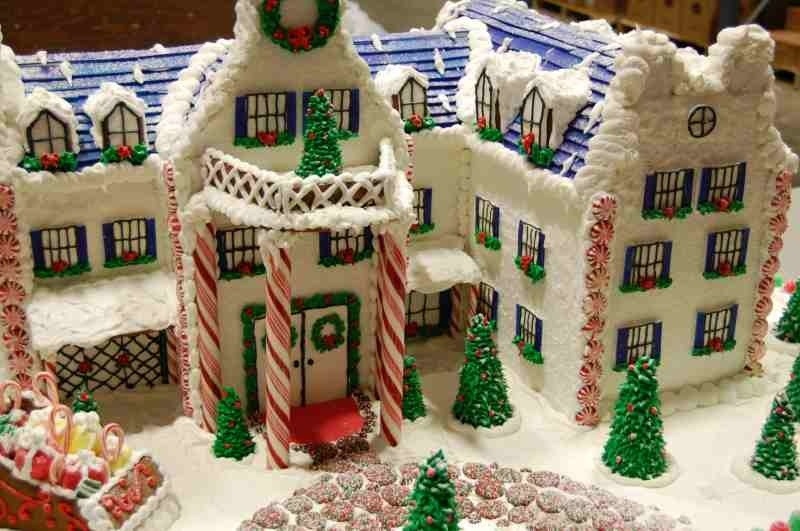 And this one, I am entirely certain was built by a professional chef/baker. I hope the people who saw it or consumed it appreciate the hard work that went into it! This is another of my personal favorites! I can’t even begin to imagine where I would begin with something like this. And I know my daughter would LOVE the one above! A real Princess castle. The only problem would come when anyone wanted to eat it. LOL! 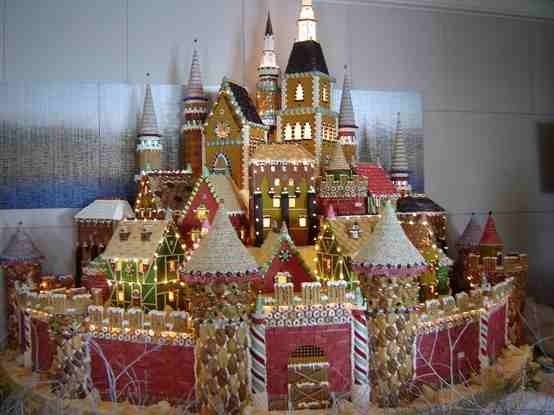 But these Gingerbread houses also remind me of a very important lesson about God’s love! Jesus came and he gave us all of his time. He traveled and he taught and he healed and he raised the dead and most of the time it was a thankless job. Most of the time it either went unnoticed or it caused the Pharisees to grumble and plot against him. And I’m sure it was exhausting. It was dusty and dirty and he never had a place to rest unless some kind soul provided it. And in the end he knew he would die. All his work and all his teaching would come to an end and he would die. Then he would return to heaven to await us. This is not advertised as a Christmas story but Christmas is a very important part of it and it’s such a Heartwarming story, I feel that it absolutely belongs here! I don’t want to ruin anything so I won’t say anymore. This story reminds me again of why I love reading about the wonderfully simple lives the Amish live. I don’t think there is any way we “Englisch” can truly understand the sacrifices and hardships and the joys and fulfillment that comes with their choices in life. But I really wish we could. I wish more people could see the beauty in such a simple lifestyle. Perhaps someday we can find our way back to such wonderful simplicity and enjoy the warmth of family and community that comes with it. There’s just something about Vannetta Chapman’s writing that makes this such a reality for me. 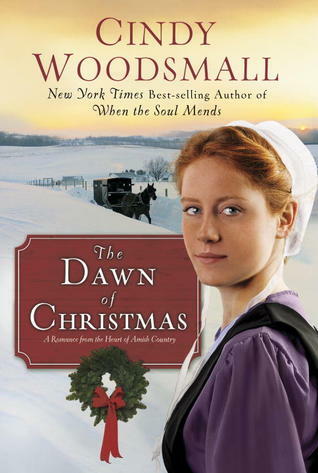 Her book “A Simple Amish Christmas” was the very first Amish story I read and it’s definitely what made me fall in love with the genre. And now I feel as if I’ve been invited into the Pebble Creek community. What an amazing story!What a beautiful community! What a wondrous outcome! Read it! You won’t regret it! 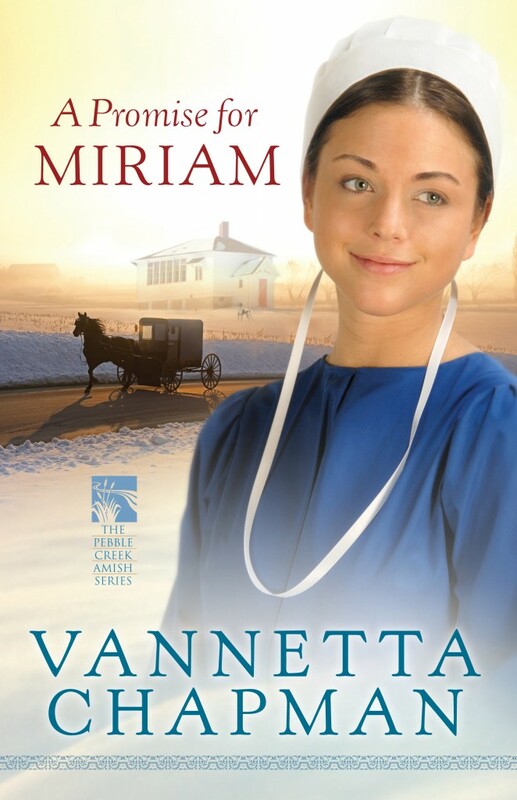 A Promise for Miriam, the first book in a brand-new romantic series from popular author Vannetta Chapman, introduces the Amish community of Pebble Creek and some of the kind, caring people there. As they face challenges to their community from the English world, they come together to reach out to their non-Amish neighbors while still preserving their cherished Plain ways. Amish schoolteacher Miriam King loves her students. At 26, most women her age are married with children of their own, but she hasn’t yet met anyone who can convince her to give up the Plain school that sits along the banks of Pebble Creek. Then newcomer Gabriel Miller steps into her life, bringing his daughter, an air of mystery, and challenges Miriam has never faced before. Will Gabe be able to let go of the past that haunts him? He thinks he just wants to be left alone, but the loving and warm community he and his daughter have moved to has other plans for him. After a near tragedy is averted, he hesitantly returns offers of help and friendship, and he discovers he can make a difference to the people of Pebble Creek—and maybe find love again. You can find more information about this title HERE on the Harvest House website. 25 Posts of Christmas Day 5: Do you cry at movies? 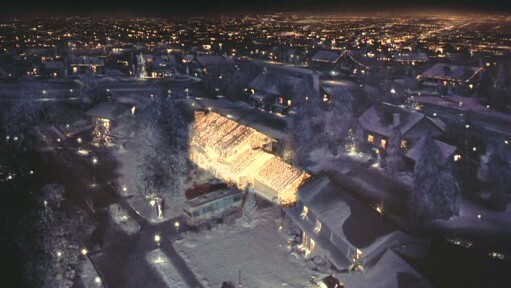 Do you have a movie you watch every year for Christmas? Is it a sad movie? Do you curl up on the couch with a box of tissues and some comfort food? 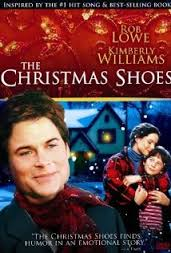 For me that movie is “The Christmas Shoes”. I teared up the first time I heard the song. And my reaction to the movie was even stronger. I sit and watch and cry and then… when it’s all over, I go on to watch “The Christmas Blessing” which is the next movie/book in the series. The story is just as heart-breaking and I cry just as hard… maybe even a little harder at times. And then last Christmas season, I discovered another movie in the series. Almost from the first , you want to bawl your eyes out. And yet, you keep watching because you know it has to work out. You know something good has to happen. Something miraculous has to occur for sitting through 2 hours of tears and heartbreak to be worth it. And then we get to the message. And we are reminded of what Christmas is all about. We are reminded of the true meaning if this season, Family and love. And the gift God sent to us on that night so long ago. 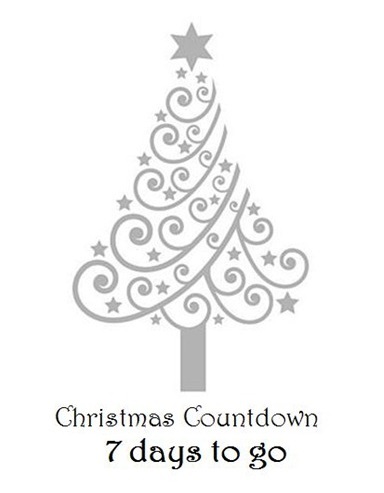 When do you start your Christmas cooking? Do you cook for a big family? For all of your extended family? Or for just 2 or 3 people? I have a friend who has just herself, her mom and her kids and they decided to buy a meal from Cracker Barrel for Thanksgiving. It worked so well, they’re talking about doing it at Christmas too. 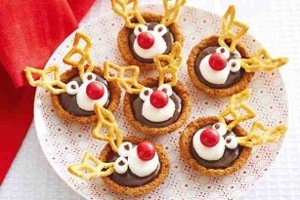 Do you enjoy making special Holiday-themed deserts- yummy cakes, decorative deserts, cute cookies? 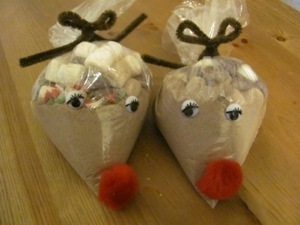 Do you love putting together little treats you can give away as gifts? Do you make the most of the season? Have you ever thought about what cooking a wonderful meal or making gifts to give away means? Have you ever thought about how those things compare to God’s love and sharing it with others? Have a Blessed Christmas this year! And share God’s love with as many people as you can. 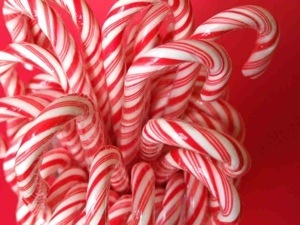 Have you ever heard the story of how candy canes got started? From what I can gather, candy canes are one of the great urban legends in the world. Apparently, a combination of time and infamy have built the story to such fantastic heights that everyone has a different version. 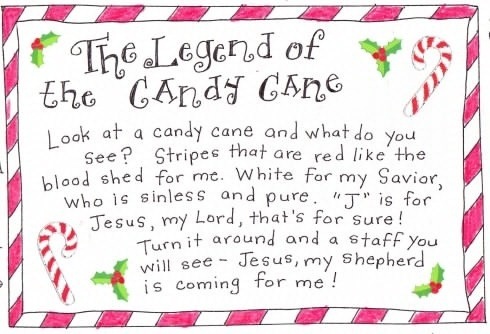 A candy-maker in Indiana wanted to make a candy that would be a witness, so he made the Christmas Candy Cane. He incorporated several symbols from the birth, ministry, and death of Jesus Christ. The candymaker made the candy in the form of a “J” to represent the precious name of Jesus, who came to earth as our Savior. It could also represent the staff of the “Good Shepherd” with which He reaches down into the ditches of the world to lift out the fallen lambs who, like all sheep, have gone astray. 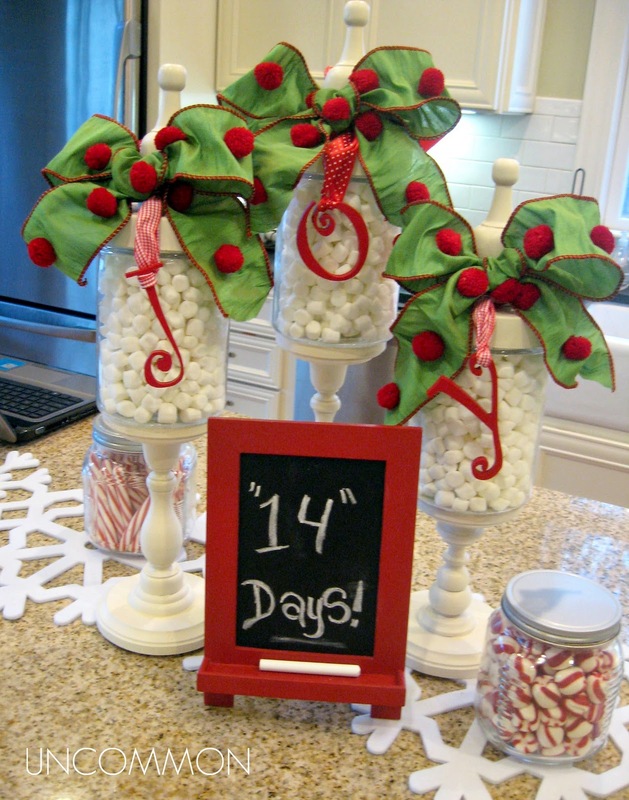 Unfortunately, the candy became known as a Candy Cane — a meaningless decoration seen at Christmas time. 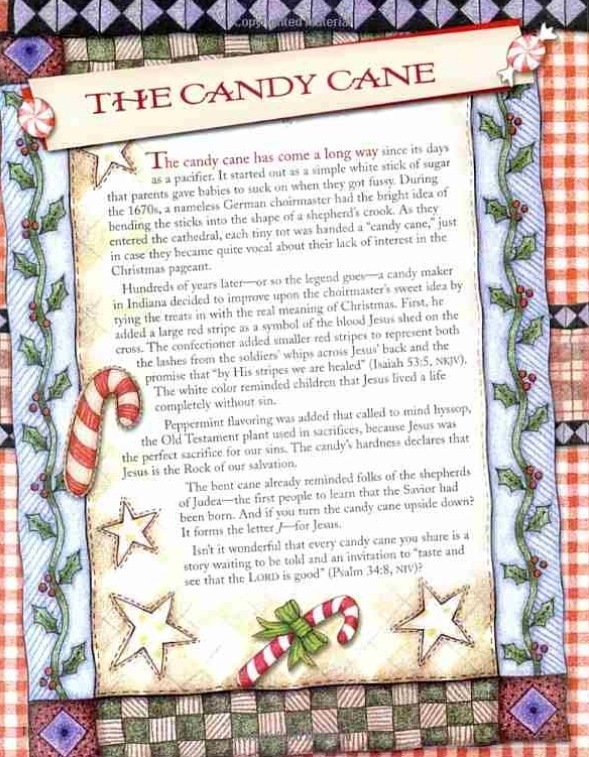 But the meaning is still there for those who “have eyes to see and ears to hear.” Every time you see a Candy Cane, remember the Wonder of Jesus and His Great Love that came down at Christmas, and that His Love remains the ultimate and dominant force in the universe today. There are many different versions of this story out there to be found. I found 1 story HERE. Another story HERE (with a few similarities). And they’re both very different from the story I read in this great little Christmas Advent Book by Lisa Whelchel years ago. The details of the story may have gotten a little confused over the years but the message remains the same. It’s all about reminding people of Jesus’ love for them, for everyone! It’s a message that gets lost in the Holiday craziness far too easily and far too often. Think about that the next time you enjoy a candy cane or as you hang them on your Christmas tree. And along with these different stories, there are many activities that go along with them. So find a fun way you or your children can share this message with people this season. There’s a great activity HERE and another HERE and another HERE. 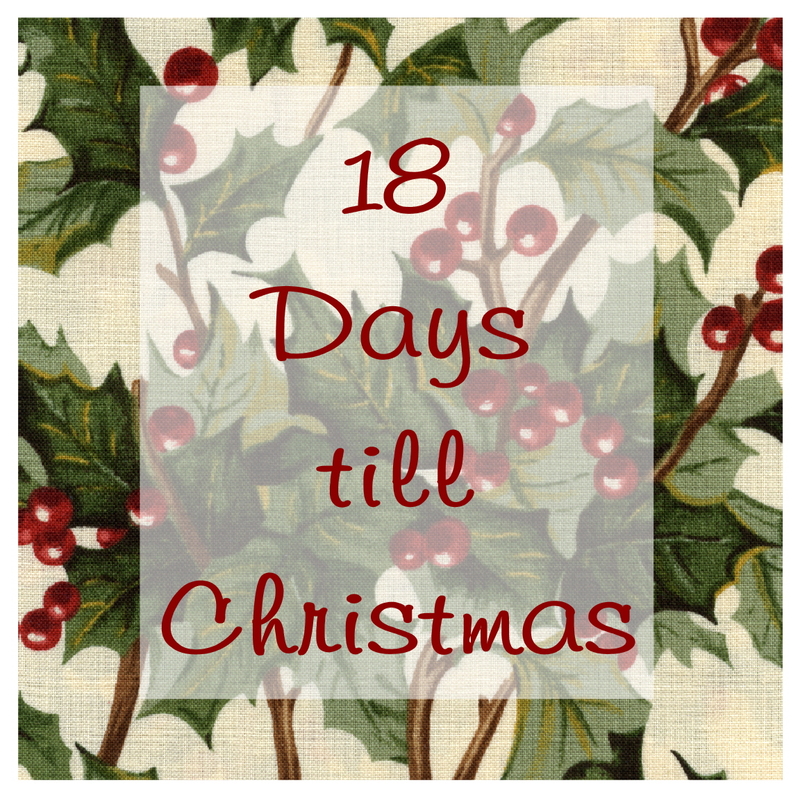 There are many more that you can find, including the idea in Lisa Whelchel’s book “The ADVENTure of Christmas”. The book is a terrific investment. It’s full of great stories about all of the things we love about the Christmas season! I was thrilled to see it advertised and couldn’t wait to get my hands on it. Of course, as fate would have it, the book arrived just as November got off to a start and I became a crazy person – between NaNoWriMo and reviewing the stack of other books that had piled up on my desk. However, when I picked up the book, I could not put it down. It was an amazing read and I enjoyed every second of it. The only complaint I might have is that it took so long for two young couples so much in love to conceive. 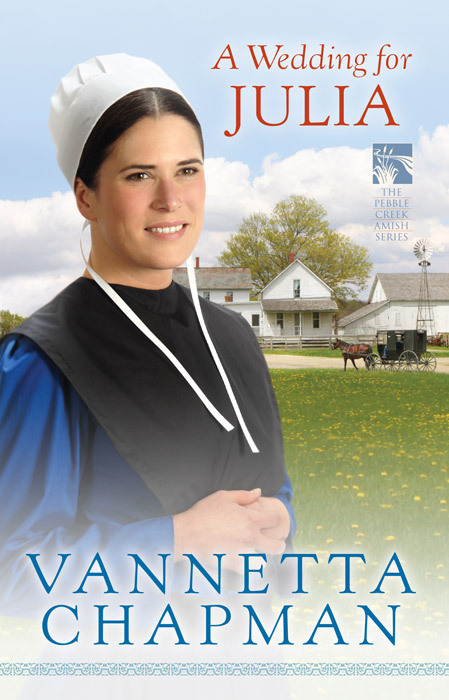 (In case you can’t tell… I’m teasing) This book is an excellent continuation of the story that started in “A Simple Amish Christmas” and it shows just how wonderful a writer Vannetta Chapman is. Three years passed between the writing of one and the other but it feels like she wrote them back to back. The characters have the same voices, mannerisms and behaviors. The characters are all just as wonderful as I remember them. The story itself is wonderful too. It isn’t just another “we’re trying to stretch the series out” kind of sequel either. It’s really a good next step and, I think, a story anyone would enjoy. Also, and I don’t want to give too much away here but, there are a few really interesting surprises tucked in the pages. I really love the extra little touches Vannetta puts in, all those extra little things that give us a real glimpse into Amish life. It helps pull you right into the story. I also really enjoy how Vannetta blends the Amish lives with the “Englisch” around them. The Amish strive to remain separate but a big part of their faith is about being open and loving to all of God’s (Gotte’s) children. Vannetta writes that aspect perfectly in my opinion. She has a talent for capturing their “voice” and their feelings and emotions – a tremendous accomplishment for an “Englisch” writer. You would never know she did not grow up Amish. A wonderful read for anyone who enjoys this genre! And, while I recommend that you read “A Simple Amish Christmas” first, this book could easily be read first or even alone. From the first page I was hooked. The characters are real. I have no doubt whatsoever that Amish truly act like these characters. The setting is vivid and the scenes are painted so clearly. You can almost feel the cold and smell the fresh, clean air. The story is gripping. A definite page-turner. I couldn’t wait to see what would happen next! An amazing story! One I will read again and again for years to come! I highly recommend this book to anyone! Not just lovers of Amish fiction either! 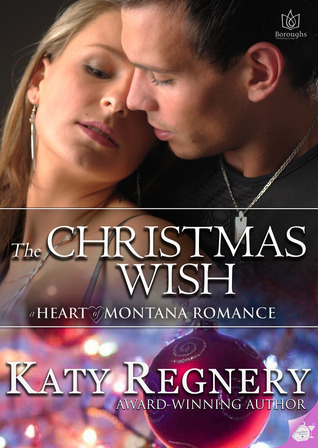 I think anyone who enjoys a good, decent romance will enjoy this story! Anyone who enjoys a good, decent romance will enjoy this story! 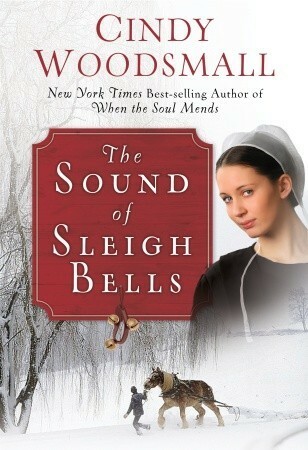 With “The Sound of Sleigh Bells”, I was hooked from the first page! If you are someone who has ever had a rough relationship, this is something you NEED to read. If you’ve ever dealt with loss, this is something you NEED to read! And if you enjoy a good book with wonderful characters and a fantastic story, you will WANT to read this book. It’s truly a GREAT read! Cindy has a talent for reaching out of the story, getting a firm grip on your heart and pulling you into the story. And when you find your way back out again, you’ve had an amazing experience and you never quite look at the world in the same way again… or at least that’s the way I feel anyway. Cindy has a talent for taking hold of your heart strings. The beauty of Cindy Woodsmall’s writing is that she writes characters who could be anyone. One of the things we struggle with is the realization that the Amish are just like us, they just live their faith in a different way than most of us do. They’re not really very different from most religions. Every religion has their own little things they do differently than anyone else, rules, traditions, ideals and even habits. So these characters in Cindy’s novels, they could be anyone. It’s so very easy to associate the things they go through with your aunt or your father or your next door neighbor or someone you work with. And she does this really well. She has a true talent for helping you to get into a characters head and I am so thankful for it. What a wonderful continuation of the stories in Apple Ridge. 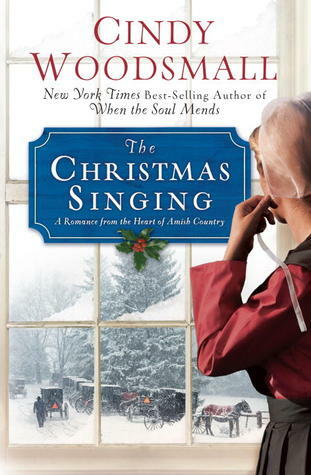 When you get started, “The Christmas Singing” may not seem like a great story for a while but trust me when I tell you that this book is worth finishing! Cindy Woodsmall has again captured our hearts with wonderfully colorful characters in the Amish community of Apple Ridge, Pennsylvania. The story deals with something that is very different than what we think of as the typical Amish read but then Cindy has a talent for writing those kinds of stories. Her Amish Vines and Orchards series falls into the exact same category and I could not put those books down! The same was true of this series. The Apple Ridge community is full of wonderful people who each seem to have their own story and they all blend so well together to create a wonderful world that pulls you right in. A story well worth reading! 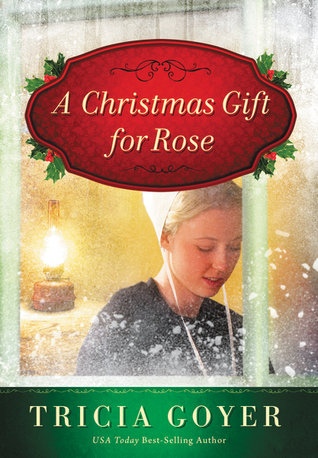 This title was originally offered in the 3-in-1 book “Christmas in Apple Ridge” by Cindy Woodsmall but her fans loved it so much, she chose to let those of us who LOVE having lots and lots of books, have the stories in 3 separate hardbound novellas. I don’t know about you but I have a personal fondness for hard bound books. There’s just something about a nice thick cover, a pretty dustcover that you can slip off while you’re reading and then slip back on so it looks pretty on the shelf. It may be weird but I’m OK with that. These Apple Ridge Novellas are absolutely some of Cindy Woodsmall’s best work. Each story is written in such a way that you could quite easily read it all by itself and not miss much about what has happened in the others. And yet, if you read them in order, they flow so nicely from one to the next. I don’t know if she has anymore in the works but I’m hoping so! This story focuses on two young people who have experienced heartbreak firsthand in the worst way. It’s not something one typically associates with the Amish community. In fact, nothing about the main characters in these three novellas is something we typically associate with the Amish but they are very real and very true-to-life struggles that the Amish deal with just as often as we English do. I have to say I was surprised at the deviousness of one particular character. I won’t spoil it for you but you’ll know who I’m talking about when you get there. It was a pleasant surprise and masterfully written. Definitely not something you would expect in the Amish community but very well-written and done in exactly the right way for the character! The story is full of surprises! Cindy has written all of these stories so beautifully. The characters are wonderful and the story pulls you right in. I remarked to a good friend the other day that Cindy has a particular talent for writing the Amish voice. I am one of those people who hears the characters talking in my head as I read the story. It’s probably why I remember so much about stories I’ve read, even years later. And when I “hear” Cindy’s characters, they truly sound Amish. I would love to say it’s true of most other Amish fiction authors I read but sadly, it is not. And that’s OK. They’re still great stories or I wouldn’t read them and then go on about them here. As you can probably guess, I received this book free from WaterBrook Multnomah in exchange for my honest review but I already owned the first two hard-bound books in the series and I would have bought this one! And I wholeheartedly recommend it to my friends! GREAT GREAT READ! All three books in the series are well-worth the full purchase price and 5 star reads! I pray that Cindy’s books bless you the way they have me and I pray God Blesses Cindy Woodsmall and her writing for many years to come! 2 pages into the book and I could tell this was going to be a great story. I love that Tricia has been so successful with her historical novels and I’m REALLY glad she branched out into Amish fiction! I LOVE that genre so much! This book combines both so well! I typically avoid books about war but a book about what war is doing to those left behind, well… those are fair game. And I’m really glad I picked this one to read! I love Christmas stories and this will be a welcome addition to my collection. All of that aside, this is the first book of it’s kind that I have read. An Amish historical novel dealing with fallout from World War 2… Well, that would be hard to miss. And I’m so glad I didn’t (miss it… that is)! I will read this book again and again and recommend it to all of my friends! It’s such a wonderful story. Don’t get me wrong, there’s conflict. There’s always conflict. But it’s not ridiculous and it’s not nonsense. There is genuine conflict and genuine resolution. The characters are very deep and the story is completely believable. Usually when you have this many things going on in a story, it’s too much or it feels like the author is trying to pad the story but everything going on in this story fits together to make the story work. It took so many twists and turns that I did not see coming. That’s always a good thing. Too many books these days are absolutely predictable. This one is not. It’s great! And you can really tell Tricia did her homework for this one. She tells us just enough about certain things without it being too much and, from what I remember (granted I wasn’t great with History in school), they’re incredibly accurate. This is a must read for anyone! 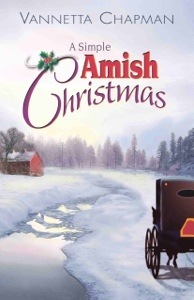 Especially if you like a good heartwarming story about the Amish community. In fact, that’s one of the great things about the Amish community, I think. Take away all mention of a date and it’s usually pretty hard to tell exactly when the story takes place. They’re so unchanging. Clearly a FIVE star book! Great job Tricia! What have you read this year so far that is in the Christmas Spirit? What are some of your favorite Christmas reads? What Christmas stories are you planning to read this season? I plan to read many more great Christmas stories this season and I plan to share them with you here! MERRY CHRISTMAS! & GOD BLESS! 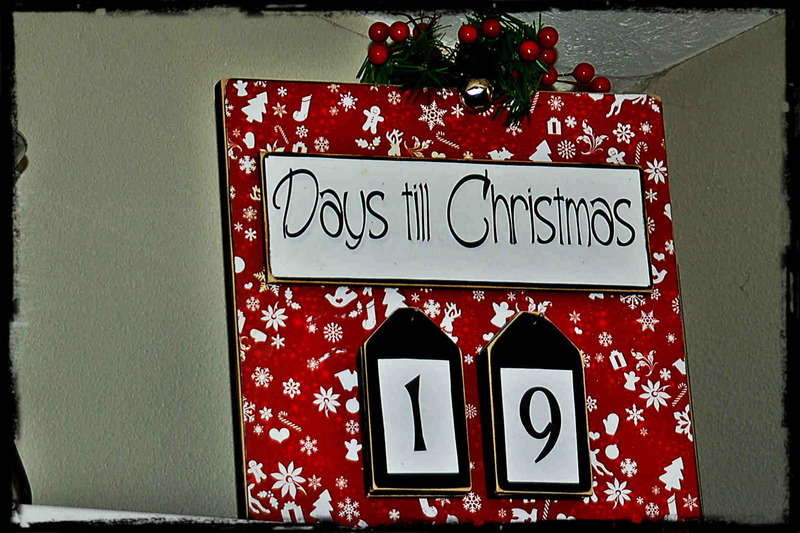 I can hardly believe how fast this year has rushed by! Before we know it, we’ll be welcoming in 2014! 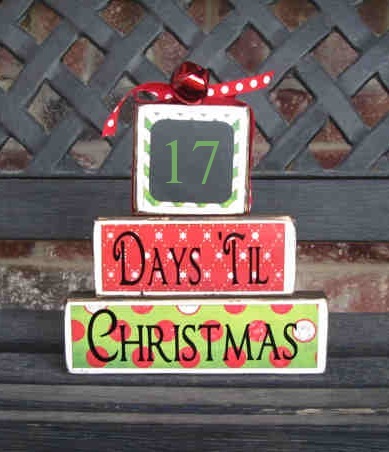 I have decided to post every day leading up to Christmas. Some of the posts will be book reviews and I may have to find a way to get fancy with some of the non-Christmas books. LOL! My hope is that I can find ways to remind everyone what this season is truly about. I know we just celebrated Thanksgiving and we’re all about “Thanked” out but take a moment to think about some of the things you are thankful for as we approach the Christmas season and the New Year. Think about your family and your children first. Think about your job and the bills your paycheck pays second. Think about all those miserable people who desperately need a little joy. Now think about the gift God gave to us on the night so long ago that we celebrate as “Christmas” and say a prayer of Thanks for the many many blessings he gives us every single day! To be completely fair about this, you should not take my review as your only source of information concerning this book. I didn’t get past page 3. From what I read, the style and the writing look good but I can’t truly judge a book I can’t read. For what it’s worth, I apologize to Ms. Regnery. I really wanted to read her book. It looks like a great story and I LOVE Christmas books. Unfortunately, I will never know. I don’t read books with foul language and there was too much of it in just the first three pages. So if you agree with me, this book will not be for you. But if you don’t mind bad language, you shouldn’t take my opinion as your only review. Check out some others and get an idea for yourself. You can find more information and reviews HERE at GoodReads! 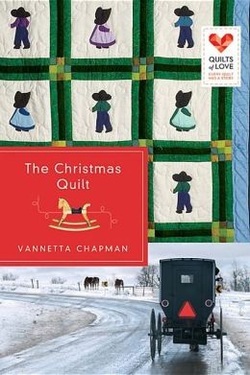 The Christmas Quilt and Aloha Rose, authors Vannetta Chapman and Lisa Carter are gearing up to ring in the Christmas season with a Kindle Fire HDX giveaway and a “Christmas Bee” Facebook Party on December 10th with fellow Quilts of Love author Lynette Sowell! 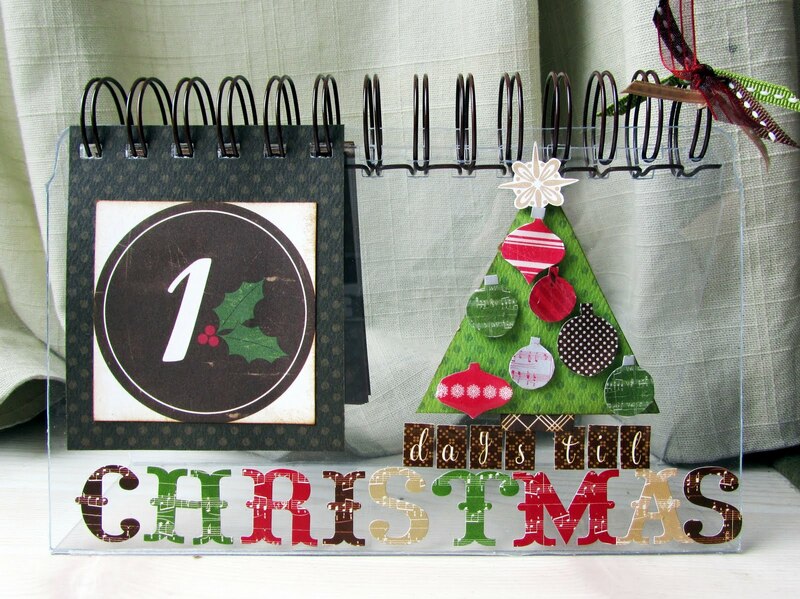 & “Christmas Bee” Facebook Party 12/10!